We are building a care home that can build on the wish of elevating every little moments of the residents to the maximum, from the moment they wake up to the moment they go to sleep. A Home and a hospital together, a relaxing caring and clean place to be where residence can have a full social life. The new building sits naturally on the ground mirroring the “L” shape of the existing building, the two puzzle pieces come together and enclose a comfortable central courtyard. 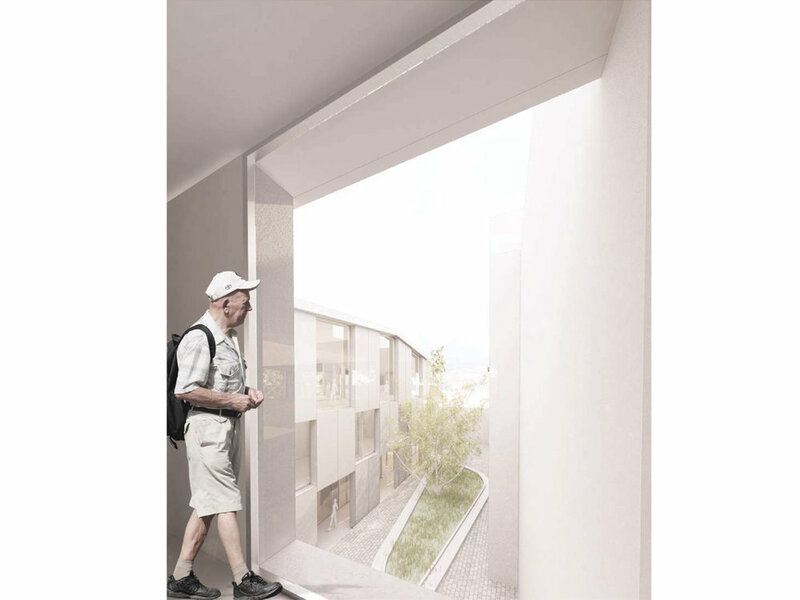 Relating directly to the outdoor areas, the project prioritizing the indoor / outdoor connection on every floor. This single volume home rises to a maximum of three storeys, not overpowering the existing 4 storey building volume. 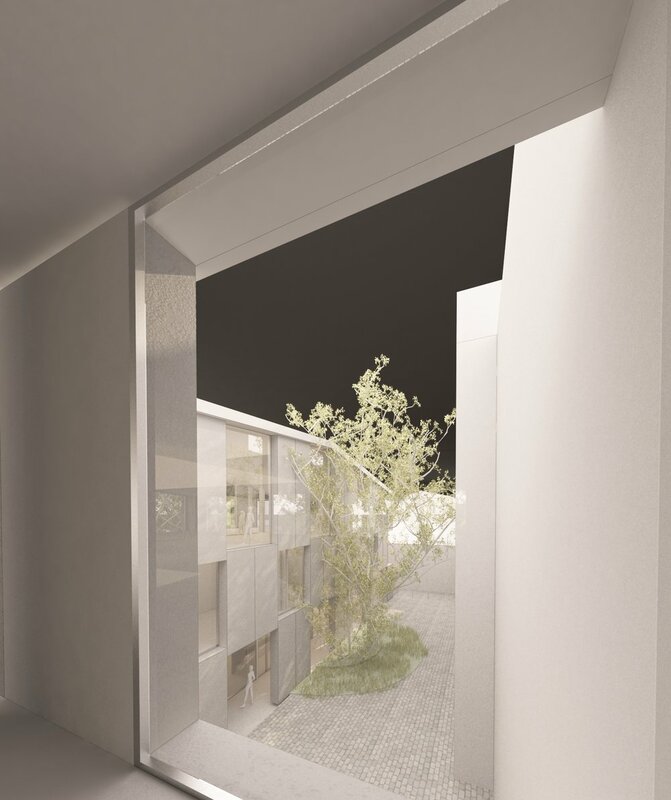 The predominantly social and recreational areas are on the ground floor surrounding a central courtyard. The courtyard appears with an internal arcade space allowing the social functions to spill out to the courtyard without worrying about the rain. In relation to the thick walls of the existing period building, the extension is designed with thick walls in mind to maintain the feeling of security. The inhabited walls are used to help with thermal value, internal furniture, as well as internal garden spaces, giving a homey feel to the elderlies. The outer enclosure and walls are clad in white textured prefabricated concrete, a clear reference to surrounding vernacular architecture. The outdoor spaces maintains the oldest and tallest trees, with more trees and shrubs planned to strengthen the idea of park linked to the nature of the place. 1- The prefabricated modular glass elements are triple glazed. 2- Thermal mass concrete floors keep the thermal energy inside, keeping a consistent temperature throughout. 3- Natural air coming in and out is controlled within the thermal exchange walls , minimizing the energy loss.